Are you looking for the right used treadmill for you and for your budget?!? It could be very difficult. Scientific researches claimed that treadmill is the most valuable among home fitness machines since it ensure the best results possible. So it’s important for you to know more about this kind of gym equipment. This is a little guide that will help you finding the right treadmill for you and for your claims. It’s clear that you get exactly what you pay for. So, purchase a good treadmill could be a significative investment for you. The first thing to do is to set a maximum budget and choose the best machines in that range. In my opinion purchase a used treadmill for sale is the best option since you could get a good machine spending a fraction of the full listed price. The most important thing you have to know now it’s that you can obtain a good used treadmill with an average discount of 30-40% from (new) listed price. If price is the only indicator you consider, you will be forced to buy a mechanical treadmill that is simpler than an electrical one since the conveyor belt is driven only by the force impressed by your walking. But price cannot be what drive you in the choice since low price often means low quality too. Often mechanical treadmills work well only when used with high inclination and more often you can’t modify it while you’re running (or walking): you have to stop, change the inclination and restart causing all this to loose your tempo. Finally, low price treadmills are built often with low quality feedstock that could produce instability and noise problems. The motor is the first thing you have to look at when you choose to buy a treadmill. 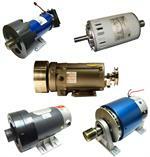 Your training achievements, in fact, deeply depend on the motor features. 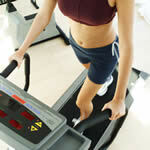 The main one is the power (measured in HP): a good treadmill should deliver a continuos power between 1,5 and 2,5 HP. Don’t look at the peak power since you will exploit full power only few times during your entire training. 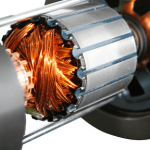 You should also look at the motor warranty because motor is the component more prone to wear and breakage; a one year warranty is the minimum, a longer one is even better. Finally, if you care about the noise too, you should consider that AC powered treadmills are noisier than DC powered treadmills. A swigging (or lurching) treadmill is completely futile. So, if you plan to purchase a treadmill online, read carefully other users reviews to exclude this kind of problems. Even better, you can go in a physical store to try your chosen treadmill and be sure problems like that don’t occur. Hand sustainments should be very firm to support your arms weight. They also should be placed in a way that doesn’t forbid you to run and walk with ease. Last, the deck must be quite long to allow a complete lope: if you’re quite tall this is a very important feature to precisely examine. A too short deck could not allow you to run in a natural way. So this is a fundamental feature to check. Usually the deck length is listed in the product features. And you can measure your lope on the snow, on the sand or over the grass. Running in your living room could be not so funny; outdoor running is surely more enjoyable but you’ve to consider that you can workout on a treadmill whenever you want and regardless of weather conditions. So, before buying a used treadmill for sale you should consider how many default workouts types are set on the machine, because they can make your work a little more fun. Running speed and deck inclination are the most important parameters that can influence your workout; so they have to be easy controllable from the console. One of the most important feature is the monitor. In fact, heart rate measurement tool should never miss on any gym machines since it is essential to perfect tune your workout. All the other features can be optional because it’s your workout style to influence your choice: for example, if listen to the music or watch TV is fundamental for your running you should consider a used treadmill with a MP3 player dock or with a little TV monitor. Size definitively matters: before purchasing a treadmill measure the available space and check its size when it’s folded and unfolded. A too big one could be a big problem even to the point to let you say goodbye to your workout. In this contest the presence of wheels is important if you plan to frequently move your gym equipment from one place to another. Easily move your treadmill could be a good stimulus to workout whenever you’ve a little free time. That’s all for now! You already know everything necessary to make your choice! Consider to check the following comparison table to see if there’s something that could be good for your need. The treadmills included on this chart actually only begin to scratch the surface. So many manufacturers and models exist that there is no way that we could have listed everything. 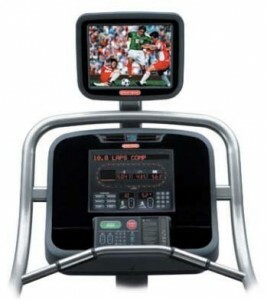 However, many exceptional treadmills are included from a wide variety of quality makers. If you want to see a more comprehensive list you can check this comparison guide. I will like to sell my AIBI T-090 Treadmill for $700.